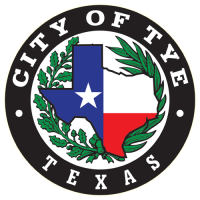 The City of Tye Municipal Court has jurisdiction over Class C Misdemeanors, traffic offenses and violations of city ordinances that occur within the city limits of Tye. Judge Donna Eyrse presides over the court and is appointed by the City Council. The role of the court is to provide a fair, independent and impartial forum for handling and deciding fine-only criminal cases arising within the city limits of Tye. The Municipal Court follows the procedures set forth under Texas Law and provides all persons the right to trial by judge or jury. Although every person has the right to be represented by an attorney, most citizens who appear in municipal courts represent themselves. City clerks are available Monday-Friday, 8am to 5pm (excluding holidays) to answer questions regarding the administrative procedures of handling a citation. Clerks are not permitted to provide legal advice. If you need legal advice or assistance, please consult an attorney. If you received a traffic citation, criminal citation or summons for ordinance violation, please follow the instructions in the envelope provided to you by the officer. If for some reason you did not receive an envelope or misplaced it, click here for a copy of the "Reply Form" or click below for instructions on how to take care of the citation. Tye Municipal Court maintains an active warrant list which is updated on a regular basis. There may be some delay between a warrant being paid and a name being removed from the list. Names on this list does not indicate the person is guilty of a crime, only that there is a warrant on file for their arrest. If your name appears on the list, please contact us immediately to resolve the warrant. To view the active warrant list, click below. If you receive a jury summons in the mail, you are required to report for jury duty. Complete and bring with you the bottom section of the summons to the Municipal Court, located at 205 North Street. Please call 692-9581 one hour prior to the trial time and date on your summons to ascertain if the jury trial that you were summoned for is still scheduled. For additional information, please click below.